Ensuring data confidentiality and integrity is critical in an era where many organizations rely on cloud services, Internet of Things (IoT) connectivity, Artificial Intelligence (AI) and machine learning. Users must be properly identified, authenticated and authorized to access data and applications without compromising the security of login credentials. Identity and Access Management (IAM) protocols are designed specifically for the transfer of authentication information and consist of a series of messages in a preset sequence designed to protect data as it travels through networks or between servers. By using third-party authentication, IAM protocols eliminate the necessity of storing login credentials within the system for which they’re used, providing a solution for organizations and institutions seeking to prevent the misuse or abuse of login credentials and reduce the risk of data breaches. Common identity management standards handle user requests for access to data or applications and deliver responses based on the information a user provides. If the format of the information, such as a password or biometric identifier, is correct, the protocol allows the level of access assigned to the user within the system. Several protocols exist to support strong IAM policies by securing data and ensuring its integrity during transfer. Generally known as “Authentication, Authorization, Accounting,” or AAA, these identity management protocols provide standards for security to simplify access management, aid in compliance, and create a uniform system for handling interactions between users and systems. Because each of these identity and access management standards has different applications, IAM professionals must work with organizations and institutions to implement appropriate protocols to ensure data security. Standards have been updated in the past to address changes in technology and the new vulnerabilities presented by an increased influx of data. As the IoT, AI and machine learning all evolve, protocols will continue to change. Timely updates will keep systems secure and continue to provide the protection necessary for integrity of credentials and the security of sensitive data. Maintaining security standards ensures compliance with regulations and allows systems to continue operating without unauthorized interference. 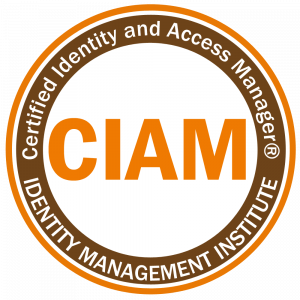 The Certified Identity and Access Manager (CIAM) program covers the details of identity and access management protocols.